A good way to edge into spring is a knitted dress like the one seen below. It’s oozing all those spring vibes but still keeps you warm. 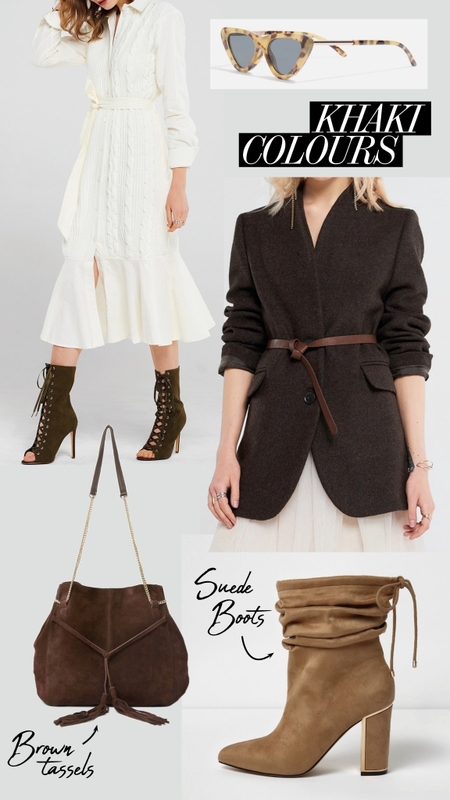 A lot of my picks this week happen to be this beautiful khaki and neutral tone which is just gorgeous for this time of year – I particular like deep green colours for outerwear. I just bought the green shearling jacket linked below from H&M and it’s my most worn item at the moment. Theres also a sprinkle of colour as I can’t resist trying to inject some fun into my my life and wardrobe to resist those January blues!